From Mt. Carmel to Springfield Rd to Abbott Rd. Sign on. 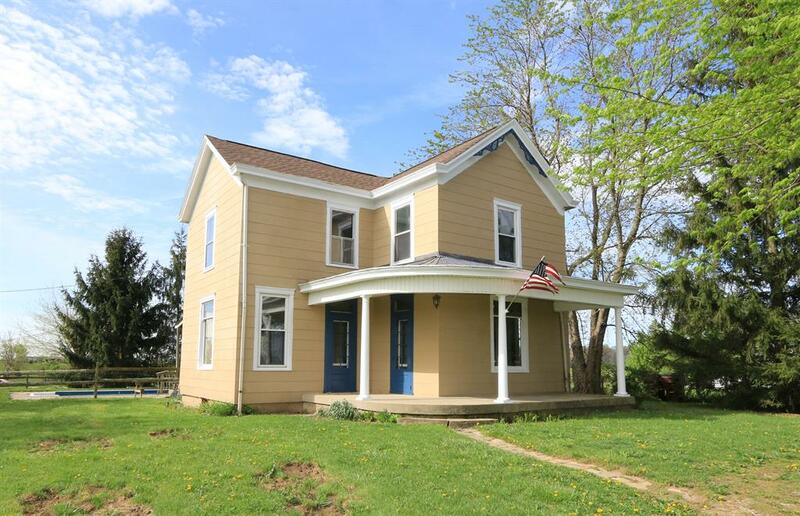 Completely remodeled/stored 2 story farmhouse. Over 1500 sqft. Newer kitchen, baths, original hardwood floors. 18x36 in-ground pool. Property has a 27x18 concrete pad where a barn once was as well as a 40x18 oval concrete pad. The foundations are already set to build a garage and/or barn. NOTE: This property was sold on 7/24/2017 and is no longer available. The details listed below are believed accurate to the date of the sale and are subject to change.